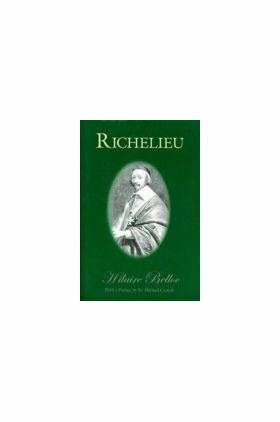 Originally subtitled A Study, Bellocs Richelieu is a compelling sketch of the Cardinals character  specifically of his Will  seen through his background, the figures surrounding him, and his line of action. It is also, above all, a compact chronicle of the making of modern Europe, and the tragedy of its rupture into Catholic and Protestant camps. In attempting to achieve for France the leadership of Europe, Richelieu, Belloc says, loosed forces stronger than he could deal with, with the consequent weakening, if not destruction, of Catholicism: . . . he had almost ruined it in the Empire, and had in any case left it permanently unable to recover its old supremacy there. This gripping permanently unable to recover its ld supremacy there. This gripping tale, unfolding at the heart of the European story, is a candid look at Richelius uncanny statesmanship and undoubted sincerity, and the unintended but disastrous effect of these upon the soul of Western civilization. Hilaire Belloc (1870-1953) was one of the greatest English writers of the 20th century. Skilled as a poet, journalist, essayist, and author of fiction and childrens stories, Belloc was above all a first-rate historian. 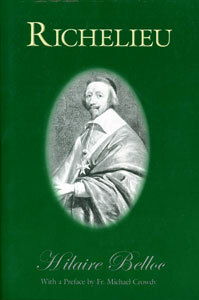 His historical biographies include Danton (1899), Robespirre (1901), Marie Antoinette (1909), Cromwell (1927), James the Second (1928), Joan of Arc (1929) Wolsey (1930), Cranmer (1931), Napoleon (1932), Charles I (1933), Milton (1935), Louis XIV (1938), and Charles II: The Last Rally (1940). Preface by Fr. Michael Crowdy. Born in 1914, he qualified as a lawyer and later served with the British Army in India during WWII. He converted from Anglicanism to Catholicism in 1946, and in 1954 was ordained a priest in the Oratory of St. Philip Neir, later serving in Florence, Northampton, and London.